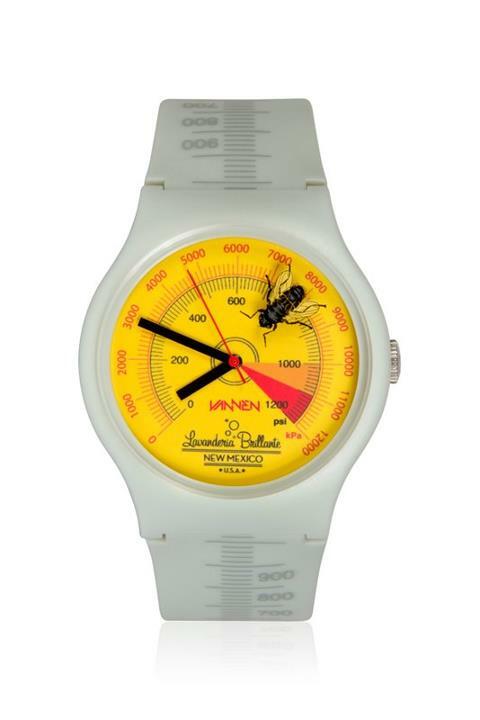 This limited-edition Breaking Bad-inspired Contaminant watch was designed by Munny & Dunny creator and Thunderdog Studios founder Tristan Eaton for Vannen Watches. Inspired by the show’s Season 3 episode titled “Fly”, Eaton included a housefly in the design. Limited to 200 pieces and designed as part of the Breaking Gifs art project, the watch will be available at Vannen Watches on August 2, 2012. 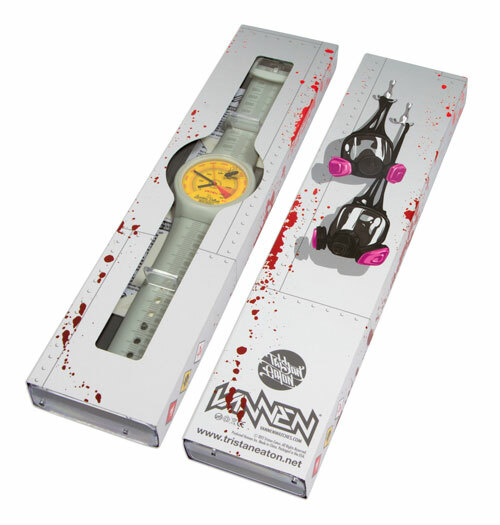 The attention to detail on this watch would make Walt proud… from the perfect measurement markings on the band and the pressure gauge face to the custom Heisenberg skull-and-crossbones engraving on the back to that damn fly printed inside the glass, this watch is a must-have for all fans of this award-winning show.